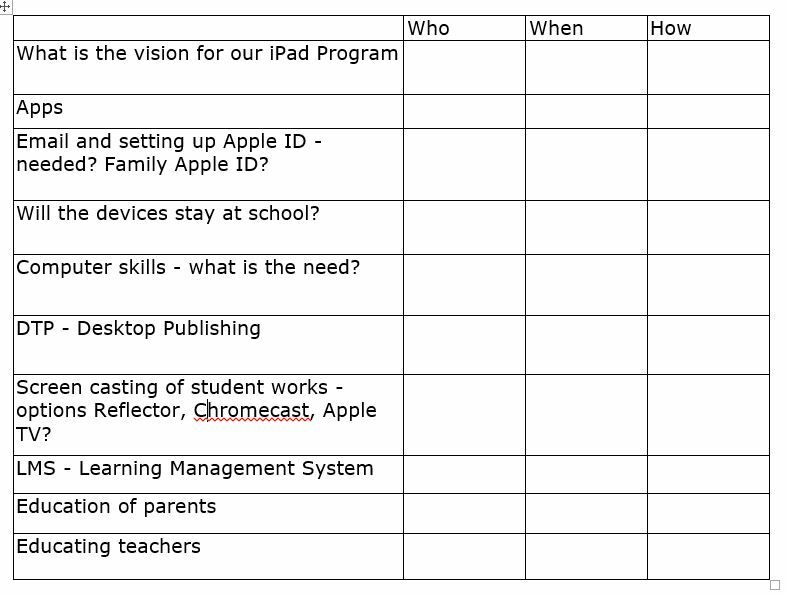 When working towards a 1:1 iPad program, it is necessary to give significant thought to a number of factors. Whilst not exhaustive, here is a starting point. Click here to access a copy of the spreadsheet.